We think we grow up and become mature sophisticated adults. Really I think we don’t our interests and challenges simply change. When I was a kid I was so impatient. I was the kid that would ask are we there yet? Every two minutes until my brothers would threaten to tickle me till I cried or hold me down and dangle that long slimy gubber over my face, if I didn’t be quite. I was that kid who counted the pennies in my piggy bank several times a day to see if there were still the same number there. Im still that way. I still check the fridge several times within an hour to see if there is anything there that wasnt before. I still get super impatient about… well lets be honest pretty much everything. And I find myself checking my blog stats and then refreshing after just a few minutes to see if there are more. Its like ive gotten greedy about views. I don’t mean to be but seeing that number go higher and higher and break previous records is somewhat exhilarating. I just had my first 100 + view day. It made my day. And now I sit here wondering, am I really a blogger who blogs about blogging? Does that make it official…I am really truly a die-hard blogger? 2.) I’m obsessed with becoming Freshly Pressed. Ok so maybe not obsessed but I have a secret desire to one day see a post of mine freshly pressed, I read the other FP blogs and think, what do they have that I don’t? I look at the intimidating number of blog posts on wordpress and shudder as I think of my blog being just one of many, How will they ever find me to give me the credit I deserve? 3.) I am excited to come home from work to check my views. Often its the first thing I do when I come in the house. I promise I do have a life, it’s just that well…I guess there is no excuse for the slightly OCD way in which I watch my stats. 4.) I love comments! I get that email letting me know that I have a comment to moderate and I get so excited! I might go into an adrenaline overdose if I did ever get freshly pressed and got a lot of comments. 5.) 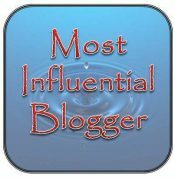 I know what the Versatile Blogger award is…and I want one! 7.) I find myself making lists about things I want to do on my blog. But then I make lists about everything so maybe that one doesn’t really count. 10.) Actually I think that’s it! And since I couldn’t even come up with 10 symptoms of being a die-hard blogger I guess I can safely assume that I am just like everyone else out there. Or at least, in regards to blogging. This entry was posted in Blogs, Uncategorized, Writing and tagged Blog, Children, Freshly Pressed, OCD, Versatile Blogger Award, Writing. yes to all of them. its like a disease.